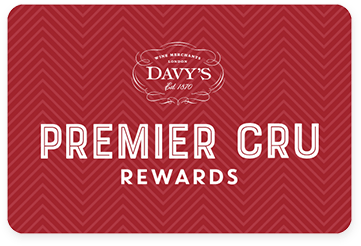 Premier Cru Rewards - Purchase this today and earn 51.75 points to redeem for free wine and gifts. Domaine Langlois-Chateau is a fantastic producer from Saumur in the Loire Valley who specialise in creating wine from two unique grape varieties – Chenin Blanc and Cabernet Franc. Grapes grow on chalky-clay soil, perfect for Cabernet Francs. Fresh with fine bubbles and red berry fruits. Delightful for a party, as an aperitif and fun to pair with red berry desserts, like a classic Summer Pudding. French sparkling rose wine from Saumur in Loire Valley France, made with Cabernet Franc. Domaine Langlois-Chateau really is a fantastic producer from Saumur in the Loire Valley who specialise in creating wine from two unique grape varieties – Chenin Blanc and Cabernet Franc. Established in 1912 by Edouard Langlois and his young wife Jeanne Chateau, the Domaine was taken over by Champagne Bollinger in 1973 in whose hands it still remains. With such illustrious ownership it’s clear to see why the wines exude elegance and class. View our selection. Out of their 89 hectares of vine, 45 are located in Saumur, 11 in Saumur-Champigny and 33 in Sancerre. Vineyards are planted with Chenin Blanc and Cabernet Franc, plus Sauvignon blanc for the production of their Sancerre and some Chardonnay and Pinot Noir. All their sparkling wines are made with traditional method. Still wine under Saumur AOC: Saumur (red and white), Saumur Vieilles Vignes (red and white), Saumur Champigny (red) and Cabernet de Saumur (rosé).